Hesmonds Stud’s foray into stallion shares has continued in recent months as it secured shares in the exciting French-based pair Wootton Bassett and Le Havre to go with interests already held in Golden Horn and Siyouni. 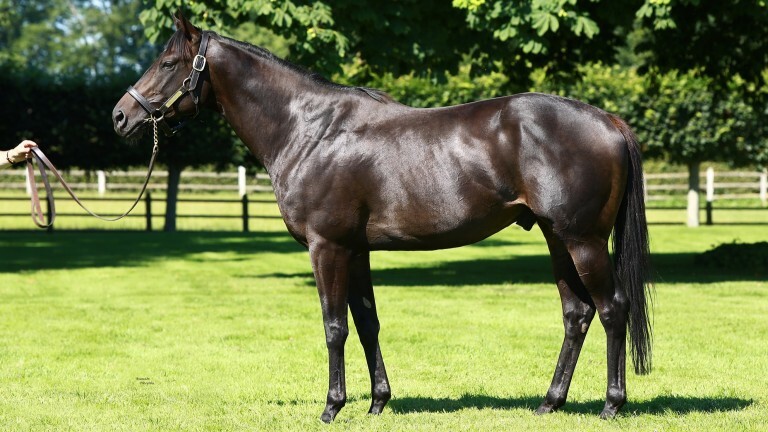 The East Sussex nursery parted with €120,000 on Arqana’s online auction facility for the last share in Haras d'Etreham resident Wootton Bassett last October. That share will be used by the stud’s owner Nurlan Bizakov to send some of his blueblooded mares to the sire of European champion Almanzor. One of the mares set to cross the Channel for Wootton Bassett is Shabyt, a nine-year-old Sadler’s Wells three-parts sister to Secret Gesture and Sir Isaac Newton. She is in foal to Golden Horn and her first runner, Shymkent, made his debut for Roger Varian last year. Stud manager Tony Fry said: “It’s a physical match for Shabyt. Wootton Bassett is one of those horses who has done it the hard way. He’s started off at a small fee, upgraded his mares and we’re hoping that he's going to carry on doing it. “The likes of Le Havre, Siyouni and Wootton Bassett have not had it easy, but they’ve still produced quality and they’re only going to get better mares. Wootton Bassett has had a couple of other decent runners, he’s not a one-hit wonder at the moment. Shabyt will be joined by Karakoz, a four-year-old daughter of Danehill Dancer half-sister to Prestige Stakes winner Ollie Olga who was unraced due to suffering an injury in training and will visit the son of Iffraaj for her first date as a broodmare. In November Hesmonds Stud secured a share in Haras de la Cauviniere kingpin Le Havre when bidding €400,000 for it on Arqana Online again. Card Shop, a 13-year-old daughter of Chester House who is a half-sister to Hardwicke Stakes winner Await The Dawn, was barren to Siyouni last year but will visit Le Havre for her next covering, as will Zimira, an eight-year-old daughter of Invincible Spirit in foal to Iffraaj. “Again, it’s a physical match for Card Shop and Le Havre has great substance as a horse and a great walk too,” said Fry. “She’s a nice little mare and her first foal, Ollie Olga, is a small, neat mare who was a good two-year-old but didn’t quite train on as a three-year-old. Back in November 2015, the Arqana online auction platform was used by Hesmonds Stud to secure a share in the Aga Khan Studs' bright young thing Siyouni. A final bid of €355,000 secured the interest and marked the first time the operation had ventured into securing shares in stallions. They will again send two mares to the Haras de Bonneval resident - they are First, a 19-year-old daughter of Highest Honor who is the dam of Group 2 scorer Au Revoir, and Caskelena, an eight-year-old daughter of Galileo who is a half-sister to Prix Jean Prat hero Turtle Bowl. Fry said: “First was unfortunately barren to Frankel last year. Siyouni is an absolute beauty of a horse. He’ll suit anything as a physical match and First is an old girl now. Hopefully if she’s good and healthy we’ll get a couple of more foals out of her and some good runners out of her too. Tamarind, an 11-year-old daughter of Sadler’s Wells who is the dam of the Listed-placed Tansholpan, will head for a date with Golden Horn after she delivers a foal by Kingman in the coming weeks. Ollie Olga, a seven-year-old daughter of Stormy Atlantic who took the scalp of Sky Lantern when she won the Prestige Stakes, is set to deliver a foal by Teofilo later this month and will then head to Dalham Hall Stud to be covered by New Approach. “I think New Approach is a slightly forgotten horse and, as happens with fashion, he’s been written off very quickly,” said Fry. “He set the world on fire in his first year. Now he’s down to £30,000 and I think he’s great value. Serres, a 13-year-old daughter of Daylami whose most notable offspring are Group 3 scorer Liber Nauticus and the Group 2-placed Thetis, visited Siyouni last year and will now head to Gilltown Stud for a rendezvous with Sea The Stars after she delivers a foal next month. Full of praise for the sire of Derby winner Harzand and Oaks heroine Taghrooda, Fry said: “Sea The Stars is an outstanding sire. I know everyone is looking for speed at the moment but we’re looking for middle-distance quality. “You know what you're getting with a Sea The Stars mating as it’ll be a good middle-distance horse and hopefully it’ll be running in the Classics. That’s where we want to be. Listed winner Elik, a seven-year-old daughter of Dalakhani, is due to foal to Dark Angel and will visit four-time Group 1 winner Gleneagles this year, while Gakalina, a ten-year-old daughter of Galileo, will head for a date with Paco Boy after she delivers a foal by Dutch Art. Nazym, a seven-year-old Galileo three-parts sister to Listen who topped Book 1 at 1.7 million guineas in 2011, will head for a date with Fastnet Rock after she delivers a foal by the popular Dark Angel later this year. Fry said: “Gleneagles was a top-class horse who looks the part too. We’re not big fans of using unproven sires but it’s a lovely cross that’s worked in the past. “The Galileo cross has worked with Paco Boy. On paper and as a physical match, it works. Gakalina has had a bit of bad luck with some horses so we really want to get her kicking on. Hesmonds Stud welcomed its second foal last Wednesday when Hanzada, a daughter of Arch, produced a Sir Percy colt. She is now set for a date with Fast Company.